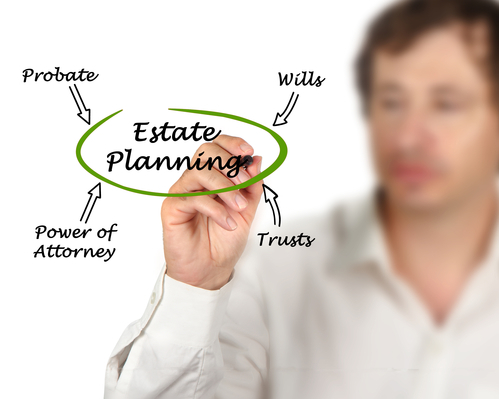 JR Phillips & Associates, PC > Estate Planning > 8 Reasons for Revisiting Your Estate Plan? Revisiting an estate plan every few years isn’t an option for everyone, especially those on a limited budget. But, it’s nearly impossible ignore for those with a lot of wealth, because oftentimes assets and holdings get liquidated or restructured. But, sometimes even lower-income individuals and families need to fix their estate plans, because life is dynamic: we lose people close to us and new ones are born all the time. Not updating an estate plan to account for those who die or newborns can lead to protracted probate court scenarios that will end up burdening your family. Treat It Like An Investment – Think of an estate plan as you would one of your priceless investments, where it needs nurturing and attention because there are ways to maximize your wealth as it pertains to your estates. Failure to stay on top of it can mean certain assets could end up being distributed in ways and to individuals that you didn’t want them to go to. Marriage – If you or someone in your will or estate plan gets married, then there’s a very good chance it will impact your estate plan. Divorce – If you or a family member gets a divorce, you’ll want to make that adjustment to your estate plan. This will prevent your estate from making distributions to someone who is no longer a family member. New Birth – Whether you have a child or someone in your immediate family has one, you might want to account for them in your estate plan, so they are now covered. Death in the Family – Anytime an immediate family member dies, you’ll want to make that change to your estate plan immediately. Don’t leave it to the courts to decide how that deceased person’s distribution gets sorted out. Buying New Property – Whether you inherit some property or just bought a new house, you’ll want to add this asset to your estate plan, and designate the future beneficiary. Closing or Beginning a New Business – Should something happen to you, you should have a plan for what happens to a business, if you are no longer able to make business decisions, or should you die. Moving – If you move to another state, you’ll need to update your estate plan to account for any changes. Assets that get moved to other state may also complicate things should you die or become incapacitated. If you need to make changes to your estate plan, get the experience and professionalism of the Denver Estate Planning Attorney at JR Phillips & Associates, PC. No one likes thinking about their own death, but you’ll get some much needed peace of mind knowing your assets will be distributed properly according to your exact wishes. Taking a proactive approach will ensure that your loved ones are financially cared for in the future. To schedule a meeting to discuss your needs and overall goals, call us at (303) 741-2400 or email us using the contact form at the top of this page. 1“Why Continuous Estate Planning Is Essential For The Rich And Super-Rich” published in Forbes, Sept. 2017.